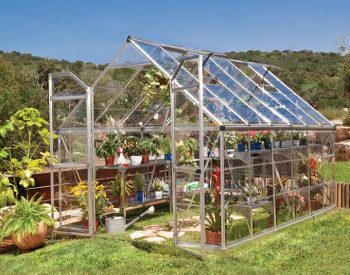 This GREENLINE 8′ x 20′ greenhouse is made from high quality polycarbonate, beware of cheap brands that use an inferior polycarbonate, UV light will break down cheap polycarbonate in a year or less! 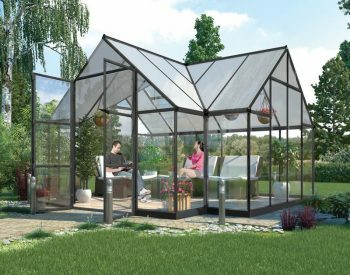 Ours will last indefinitely. 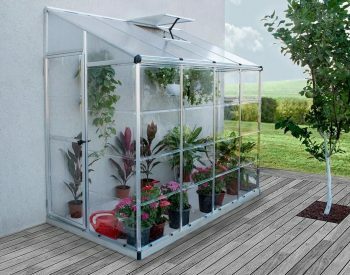 This greenhouse includes 4 manual vents for increased air circulation. 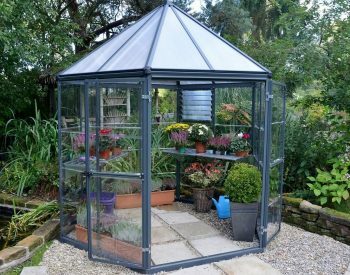 A highly recommended addition are the automatic vent arms, these have a wax filled cylinder that heats up on a warm day and expands, pushing the window vents open and then closing them in the evening as it cools, great to ensure temps and airflow are looked after for you! 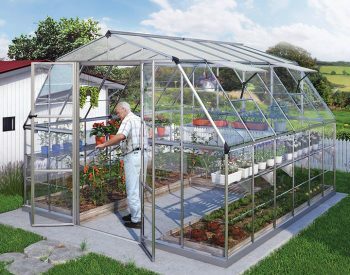 As is the case with our other greenhouses, the 8′ x 20′ greenhouse has been designed to provide your plants, fruit and vegetables etc the optimum biological conditions in which to flourish all year round. 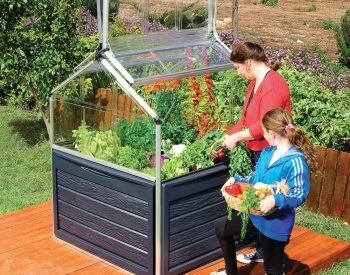 Keep insects at bay and provide a humid or warmer enviroment to grow higher yeilds and a greater variety of fruit, veges or plants. 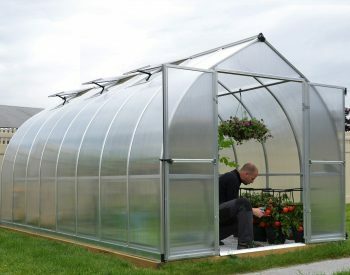 Talk to us about growing in a greenhouse and whats possible. 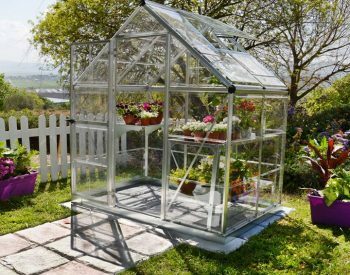 Each wall panel has been manufactured from virtually unbreakable, crystal clear polycarbonate and UV protected to guard against the harsh Australian sun. 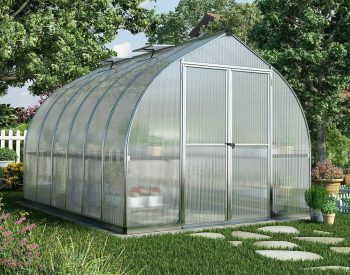 The roof panels are even more impressive boasting a twin wall polycarbonate construction for the transmission of soft, diffuse light. 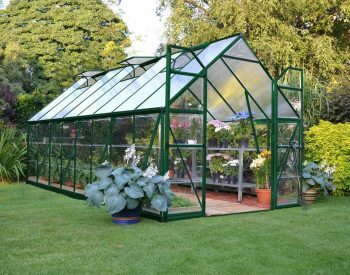 Other features include a galvanized steel base, strong aluminium frame (powder coated for increased protection), extra support beams for added strength and built in gutter systems (see Features below for a full list). 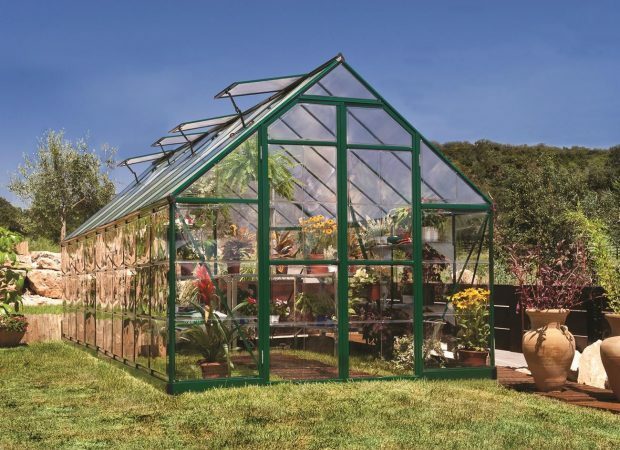 Installation has been designed to be easy and straightforward, full instructions and tools have been provided in the kit, we have had many people all across Australia assemble our greenhouses with positive feedback. 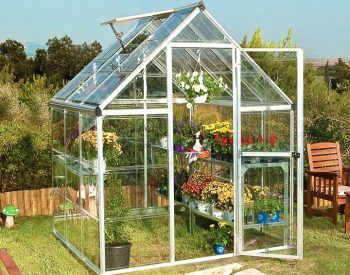 We have also assembled these ourselves so we can assist with any questions that may arise. 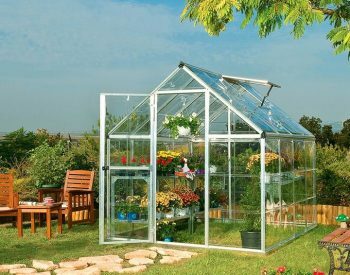 Built-in gutter system to channel and easily collect rainwater, we have tanks available designed to collect water from these greenhouses.